Quite a few movie fans on HO. What is your favorite movie food scene and why. Did the scene inspire you to create the meal? My wife loved the meals filmed in Mama Mia because it was so joyful. There are many movies with food scenes I enjoy watching. First 2 that come to mind are “Eat, drink, man, woman” (Taiwanese), and “Tamporo” (Japanese). I watched Tamporo on VHS more than 25 years ago, saw it again a couple of years ago. Want to see it again soon, probably. Excerpt wiki. After a controlling owner (Dustin Hoffman) pushes him too far, chef Carl Casper (Jon Favreau) quits his position at a prestigious Los Angeles restaurant. As he tries to figure out what his next step should be, he finds himself in Miami. Carl joins forces with his ex-wife (Sofía Vergara), best friend (John Leguizamo) and son (Emjay Anthony) to launch a food-truck business, and the venture provides a chance to reignite his passion for cooking – as well as his zest for life and love. Chef was a fun food film and gave props to food truckers. Julia’s first experience of sole meuniere in Julie and Julia. It zeroes in on what it is like to taste a food that is immeasurably better than anything that has hit your taste buds before . Great choice. I enjoyed MStreep’s onion slicing scene. Stephen Chow’s “The God of Cookery”. Bought the bootlegged DVD (gasp) in Shanghai for a dollar 20 some odd years ago. Have watched and rewatched this very funny flick at least a half dozen times. 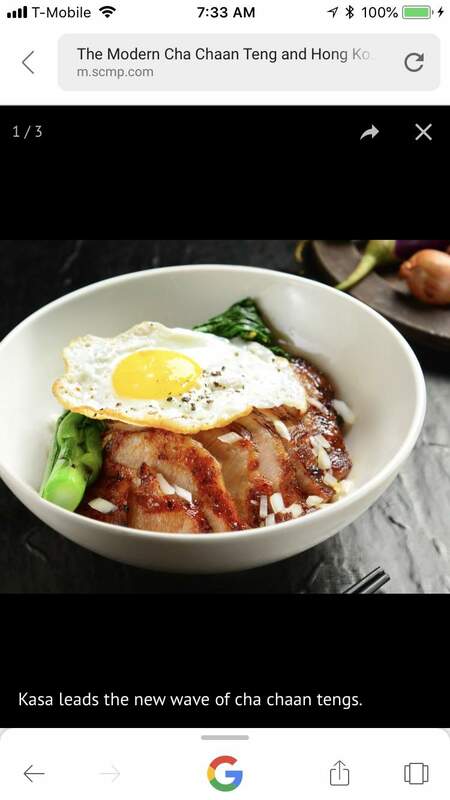 In one scene, the star was a simple Cantonese bowl of cha siu (bbq pork), greens, fried egg on rice, drizzled with a touch of oyster sauce. Super humble simple dish. That just hits all my sweet spots. Yes, I’ve made this at home, and ordered countless times in restaurants (even before the movie). The God of Cookery is available on YouTube. Thank you. I will seek this out. So cool when a film hits all the spots! The God of Cookery may not ring the bell for most folks. It’s campy, in the vein of Austin Powers. But hey, I lik Austin Powers also. Babette’s Feast. A thanksgiving tradition. Big Night. The NY Times published a recipe for the star dish, timbalo, and a friend of mine made it and liked the result. And I loved the end, a very long single take where one of the brothers makes an omelet and shares it with the others. I ‘m not familiar. Will def look into this film. @jimmy gives new meaning to the phrase go big or go home. I dont think I could stomach that scene more than once. I couldn’t help myself, Dan. I hear ya! There are a few episodes from Portlandia (although thats cable tv) that are burned in my brain. Couldnt agree more. Really enjoyed both of those films. I dont always enjoy Sandler but that was a fun movie and how can you resist that scene in Ratatouille.